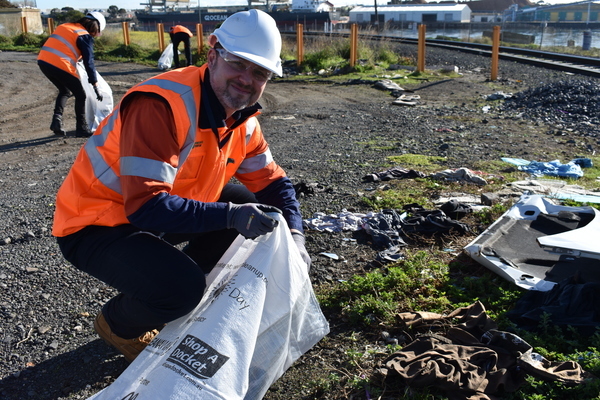 Geelong Port workers have filled a skip with dumped tyres, clothing and glass to prevent it from falling into Corio Bay for World Environment Day. About 45 workers filled the 4.5 cubic metre dumpster in roughly 30 minutes on Tuesday, according to Geelong Port. “We are proud of all our employees who have embraced our initiatives and will form part of the solution,” the port’s environmental advisor Lisa Mills said. Workers drove in utes to illegal dumping hotspots in public and industrial areas surrounding the port, and transported loads of rubbish back to the dumpster. The clean-up was part of the port’s “corporate social responsibility” to prevent rubbish entering the bay through storms, wind and rainwater runoff, according to Dr Mills. “We consider ourselves custodians of the bay,” she said. The project was one of several the port had launched to improve its environmental footprint, Dr Mills said. Geelong Port had issued its employees with reusable coffee cups, metal drink bottles and jute bags as part of its environmental programs, she said. More than 13 million tonnes of plastic falls into the ocean each year killing about 100,000 marine animals annually. It takes 100 years for plastic to degrade in the environment. The workers also picked up hundreds of disposable coffee cups, plastic bottles and straws during the clean-up. 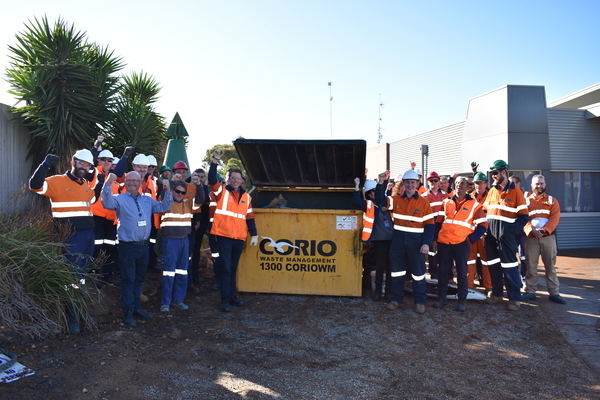 Corio Waste Management donated the skip for the day.